Ashok Leyland, the flagship of the Hinduja Group, has formed of a strategic alliance with SUN Mobility, promoted by Chetan Maini, founder of Reva, and Uday Khemka, Vice Chairman of SUN Group. 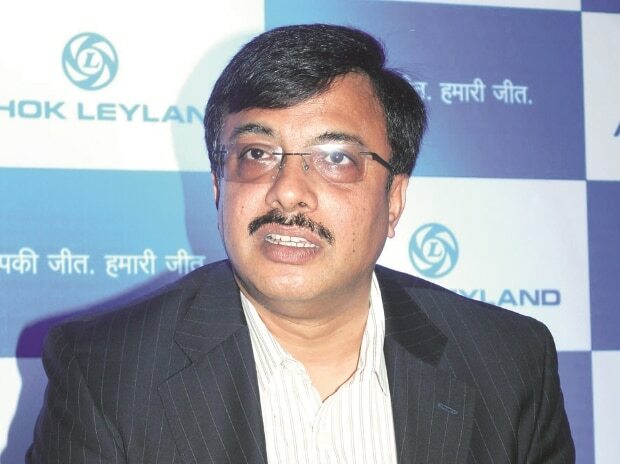 This would be a key driver for Ashok Leyland to achieve its target of clocking 10-15 per cent of its total volumes from electric mobility solutions by 2020, said Vinod K Dasari, managing director, Ashok Leyland. He added that the company has already got three orders, on a pilot basis, for buses based on this technology. This global partnership between Ashok Leyland and SUN Mobility will leverage India's innovation and engineering potential to develop world class electric mobility solutions, added Maini. The partners will be investing around Rs 100 crore to develop the product, first prototype of which is expected to be showcased in January 2018. Currently Ashok Leyland got two electric technologies, of which one comes with circuit buses and the other from Ashok Leyland's UK subsidiary Optare. Both cater to long distance mobility. SUN Mobility aims to be the leading provider of universal energy infrastructure and services to accelerate mass electric vehicle usage. The company will develop infrastructure including charging stations in cities and set up assembling facilities for batteries. Dasari said this latest innovation is performing extremely well and we are expanding our capacity to meet customer demand on our iEGR vehicle solution. This global exclusive alliance can be expanded to trucks, LCVs. To start with it be for buses, said Dasari.